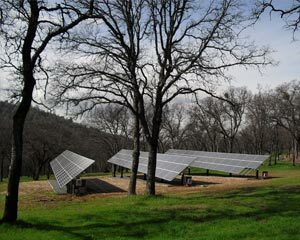 As electrical contractors with a quarter century of experience, providing solar power design and installation was a natural for us. In a relatively short time, we have become known for our leadership in the design and installation of simple and complex solar technology in both homes and businesses. Using design skills finely tuned from thousands of power installations over the years, we help our clients maneuver smoothly through design and installation to acquiring the solar rebates that help homeowners recapture a portion of their investment. So if a qualifying solar power project is in your plans, we recommend you contact us. Whether you need a commercial or residential ground mount or rooftop system, we can provide you with a turn-key solution. Solar power lets you control your energy costs while the cost of electricity is constantly rising. Consider the advantage of being able to stabilize your cost of power and to protect yourself against volatile utility rates. Get In On The Leading Edge of Renewable Energy. Not every solar system works for every situation. It takes an expert to create and implement a custom system that lets you maximize your returns on investment in the shortest amount of time. Call or email us, or use the convenient form on this page. You’ll be glad you did.